We're experiencing an issue with regards to ADFS 3.0 login page not rendering correctly on a mobile device under certain conditions. I have attached a screenshot. 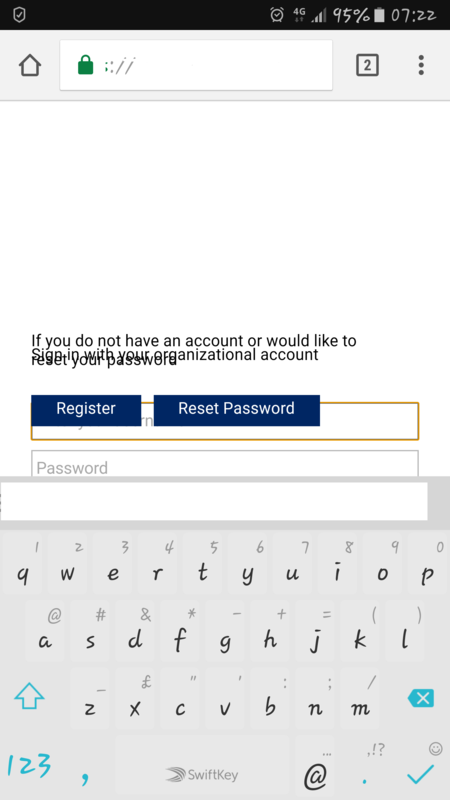 I have an Android device and when using Chrome the text overlays the password box if I use my SwitfKey keyboard but if I use the standard builtin keyboard then the text is fine. On some other devices (Windows phone) the text overlays without the keyboard on the screen at all. Is there something I can do in the ADFS config for the login page? In your Chrome app, click the three dots on the upper right corner and select the checkbox for "Request desktop site". My wild guess is that it is related to the resolution of your login page designed which results in keyboard overlay.